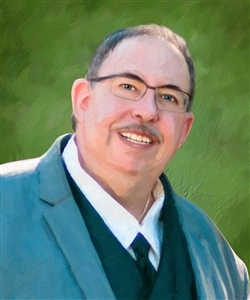 See all 47 examples in "All"
Our Oil Painting Giclee is a great alternative to our traditional oil painting when you are running short on time. 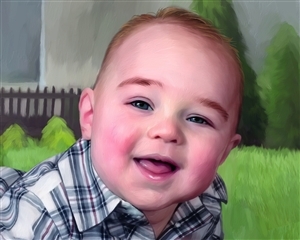 Our professional artists can turn your photos into a digitally rendered oil painting, completed with variable brush strokes, in only one to three days. For the best effect, be sure to order your giclee on canvas to create the effect of a real oil painting. 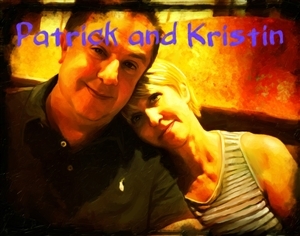 Over ten years, our talented artists have been turning photos into beautiful pop art or other digital art styles like this popular digital oil painting. Created to resemble a real oil painting. 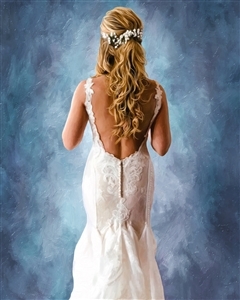 Printing on canvas is recommended to enhance the oil painting look. Davinci has done a great job putting baby pictures to oil and canvas. This is a great idea for your spouse for any occasion! The work done was wonderful. They were able to 'remove' a beer bottle and turned out a terrific product. Thank you!!!! I love it. Thank you so much. 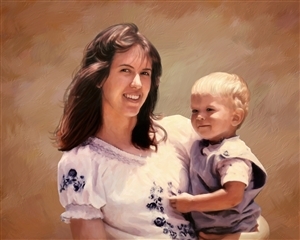 We had an old photo of me and my mom when I was a little tyke that we have been talking about getting painted for several years.